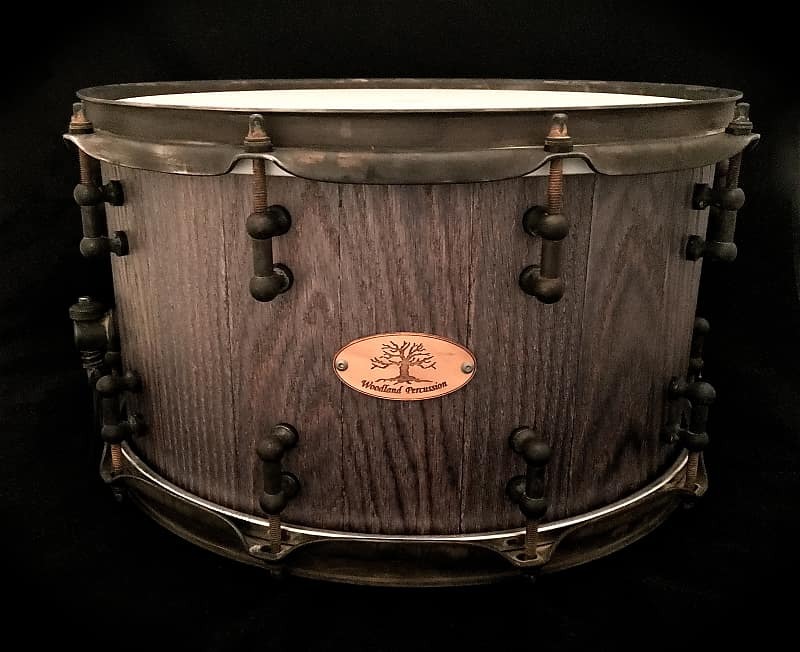 This Woodland Percussion 14"x 8"x 1/2" Stave snare is constructed of solid Red Oak. Oak is known for providing a well-rounded tonal range with great warmth and sustain. 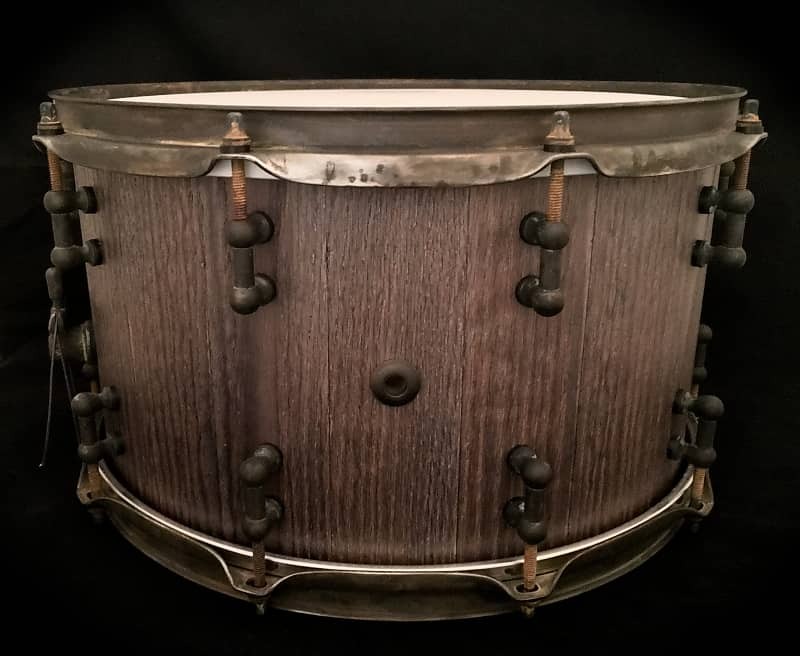 It's tonal qualities are quite similar to Maple, but packs a darker low-end punch. 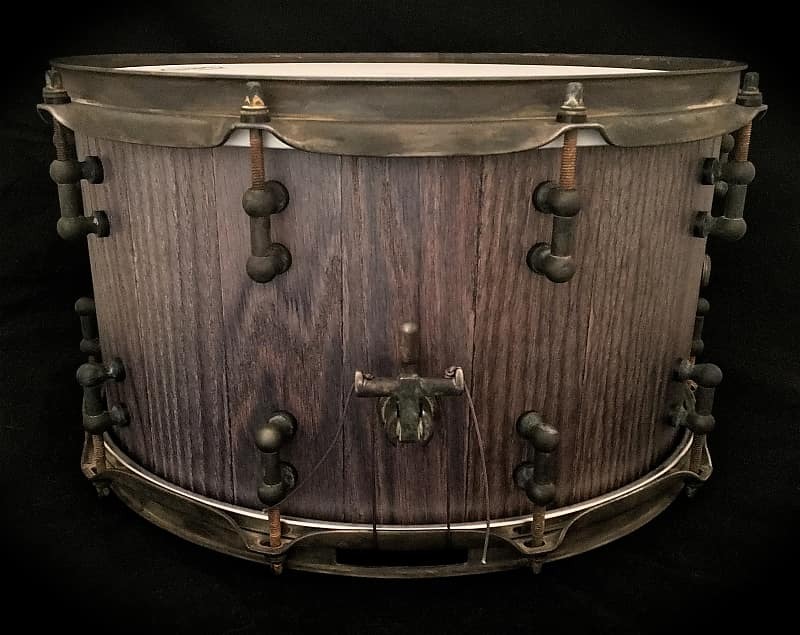 This Snare features our new Patina hardware! 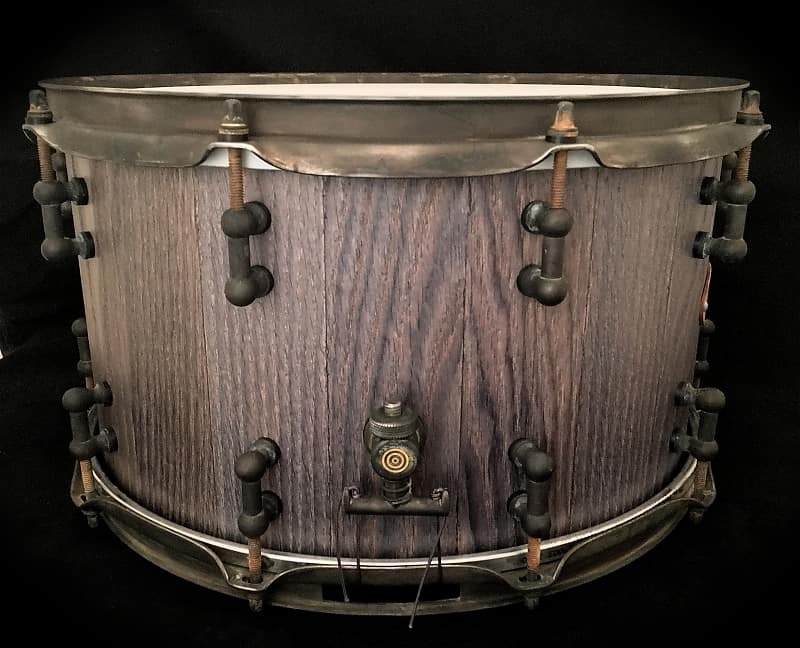 Each piece is meticulously aged by hand, creating an amazing vibe that compliments this drum's unique finish perfectly. Based on purchase price of $899.99 at 10% APR for 12 months. Excludes tax and shipping fees, to be calculated at checkout. Rates range from 10-30% APR. Choose from 3, 6, or 12 monthly payments.